Home > Television > Blu-Ray DVDs-The Next Generation Disc Format? Many of us are familiar with the ever changing technology that claims to bring us the sharpest, clearest available picture on our home entertainment systems. From Betamax video to VHS, from DVD to HD DVD and Blu-ray, it seems there’s a constant stream of formats that claim to offer the best on the market today. For most non-enthusiasts, the terms are confusing and it’s often difficult to know which format you should stick with, especially when there seems to be conflicting evidence supporting different types. When it comes to Blu-ray, which is being heralded as the next generation of disc format, there are some basics that we should all understand to help us make an educated decision on which format we will use. Blu-ray discs sport the same dimensions as a CD or DVD, but are different in that their capacity for information is much larger. 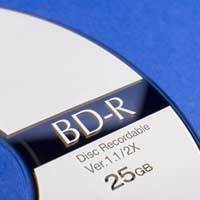 Blu-ray discs can hold around 6 times the amount of data than is presently found on a dual layer DVD – this means higher picture and sound quality. The difference in picture quality with a high definition television is quite startling, even to most novices and Blu-ray certainly appears to live up to expectations regarding quality and clarity. One of the initial issues with Blu-ray discs and players, along with the high cost, was that at the same time as Blu-rays release, another competing disc format was also released – HD DVD (High Definition DVD). Both of these formats became available to consumers in 2006 with the release of players and movie titles hitting the shelves that year. Many people are often slow to take up new and emerging technologies, so when Sony included a Blu-ray player in their Playstation 3 console, the flagging format was given a huge boost and it began to gather more ground in the market. In 2007, Blu-ray outsold HD DVD and shortly afterwards, Toshiba – a long time supporter of HD DVD, decided it would no longer produce HD DVD players. This of course meant that people now began to accept Blu-ray as the next generation of disc format and from that came lower priced players, a wider variety of movie releases and considerably more stores offering Blu-ray products for sale. The question as to whether Blu-ray is a sustainable format is one on both consumer and experts lips. As digital downloading continues to become easier for most people with a decent internet connection, some analysts suggest that the Blu-ray format may be short lived. This doesn’t by any means suggest that you shouldn’t purchase a Blu-ray player – it is currently the best way to view movies at home and you won’t be disappointed with what you see. One of the most important things you’ll need though to truly appreciate Blu-ray is a high definition television. With an HD television and full surround sound speaker system, you’ll experience Blu-ray at it’s finest. There are a variety of different players on the market, but there seems to be a general agreement that the Sony Playstation 3 is a good player to start with as it allows you to watch your movies in Blu-ray as well as play a variety of Sony games also. It also has software updates automatically available if you’re connected to online play and extra ports that aren’t found on stand-alone players. As with any technological format, the longevity of Blu-ray may not be long in the grand scheme of things, but at the moment it is definitely the way to go and should be around for quite a few years.